This is the story of, among other things, the second most horrifying thing that has ever happened to me. It's a fun story, I promise. 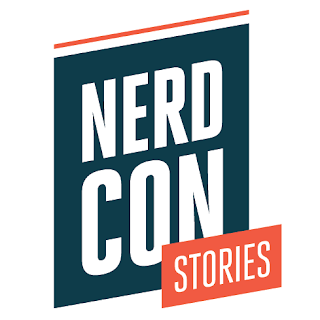 I have spent the last two days in Minneapolis for NerdCon: Stories, which was without a doubt the most wonderful failure I've ever been party to. From writing workshops to an intimate chat with Saladin Ahmed to watching Paul Sabourin lip sync a serenade to Patrick Rothfuss, I've had a truly lovely time. Unless it is ephemeral, it must be perfect. And that's unhealthy. I also have trouble changing plans or being spontaneous and I spend way too much time in my own head. Simply coming to a convention brings me outside of my comfort zone, but I wanted to take it one step further. To this end, I decided to take part in a storytelling event at NerdCon called Story Circle, in which attendees were invited to share a personal story on the theme of horror. I spoke unscripted (although I couldn't stop myself from jotting down a few bullet points beforehand) and largely unrehearsed, which I found quite difficult. And rather than spending a few hours editing the audio I recorded, I present it entirely unedited (save for the addition of some lovely music by Ian James) below, which I find excruciating. This is a true story. Some things in it probably aren't exactly true, because that's not how memory works. As Dr. Steven Novella is fond of pointing out, our memories simply aren't very good. They change over time, and sometimes they are entirely fictitious. * On the subject of OCD, John Green's talk was very good. You can read it here, but I warn you that the subject matter is not light. † And here's where I must admit that in the past I have even taken episodes edited by Ian or Lauren and re-edited them before uploading because I noticed that I stammered a little too much in this sentence, or I repeated myself over there. I... I try not to do that anymore.